Rose is a graduate of Bridgewater State University with a degree in business and marketing. Rose came to the RCS team from a vast background in the banking industry, where she developed an expertise in customer service. 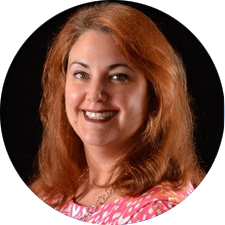 She served first as a contract trainer in 2015 and was hired as a full time regional manager for the Nature Coast area shortly thereafter in 2016. Rose’s background and expertise in customer service has proven valuable to the RCS high performance training programs. Rose holds three certifications from the National Restaurant Association and is Guest Service Gold certified through the American Hotel & Lodging Association.